After 20 years, director Pedro Almodóvar and Antonio Banderas are reteaming for La Piel que Habito (The Skin I Live In). 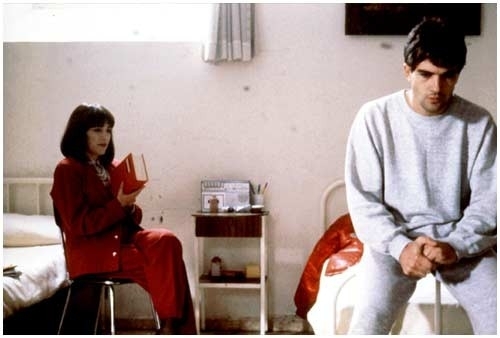 Before Banderas became a Hollywood star, he worked with the Spanish auteur on a series of five films in the late 1980s: Labyrinth of Passion(Laberinto de pasiones, 1982), Matador (1986), Law of Desire (La Ley del Deseo, 1987), Women on the Verge of a Nervous Breakdown (Mujeres al borde de un ataque de nervios, 1988), and Tie Me Up! Tie Me Down! (¡Átame!, 1989). La Piel que Habito , which is in active pre-production, is the story of a plastic surgeon who seeks revenge on the man who raped his daughter. Almodóvar? Banderas? A film that is difficult to define? I am so there. Does this news make you excited for La Piel que Habito? This is great move for Banderas, who is currently best known as the voice of Puss-in-Boots. If you have seen Banderas’ early work with Almodóvar (Matador and ¡Átame! are two of my favorite Almodóvar films), then you have just been waiting for Banderas to have a career resurgence. There is no time like the present.